The official trailer for X-Men: Days of Future Past landed a couple of days ago and excuse us for not talking about this earlier! We were suffering from a serious case of fangirling and symptoms included goosebumps, shivering, crying and shrieking! The trailer is THAT EPIC! So without further delay, lets take a peek and find out what our favourite mutants are upto! Now, wasn’t that truly awesome? Professor X’s speech, the background music (John Murphy), and all the characters, past, present and new (future)! 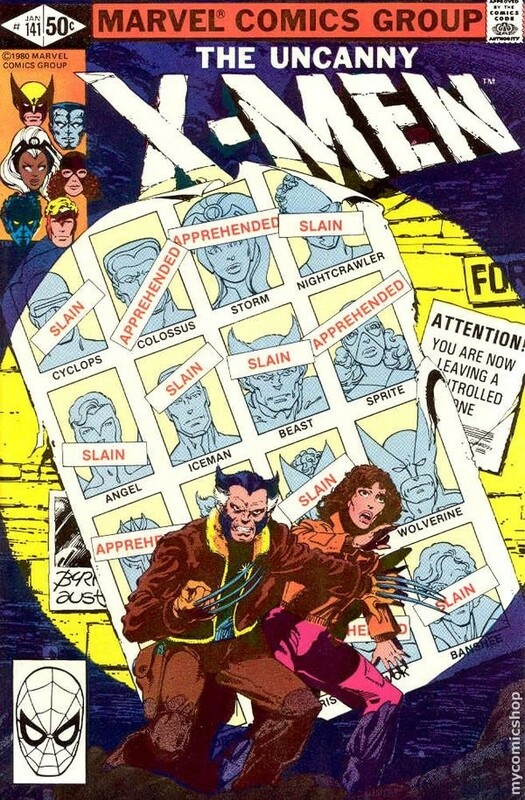 Nostalgia strikes as we see glimpses of the gang from the original X-Men trilogy! And then some hot new mutants looking serious, read more about these four at Empire Online! 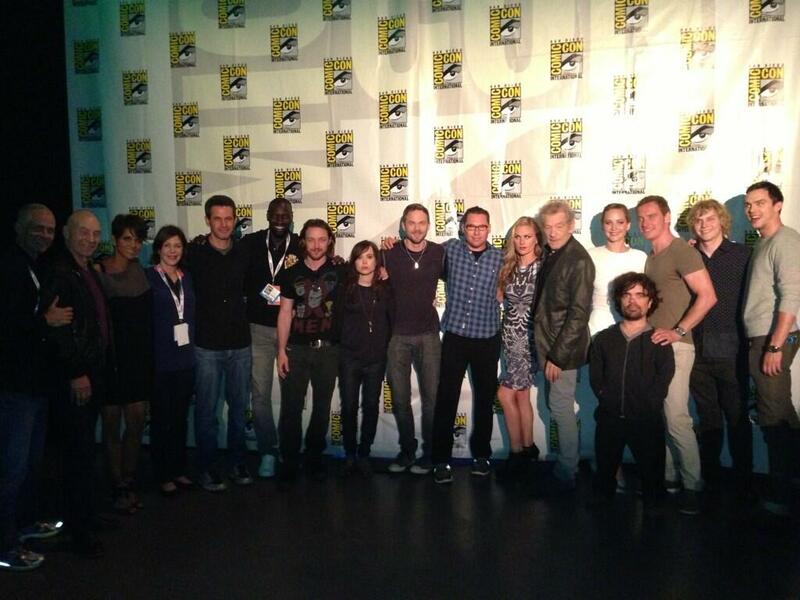 and then we meet the gang we last saw in X-Men: First Class – welcome back you lot, we missed you guys! There is a whole lot of stuff going on in the trailer, which serves as both a sequel to X-Men: The Last Stand (2006) and X-Men: First Class (2011), with Professor X trying to convince Wolverine to go back in the past and help guide the young professor to save the future. They are all suited up, they are all in unfamiliar territory, I think its safe to say that SHIZ will go down here! Uhm, yes, SHIZ does go down! Poor Wolverine, if its not adamantium being inserted into his body, its someone trying to read his memories – it all hurts him people! So its times like these when I seriously think I have a problem because I’m so in love with this psycho! And it seems like he’s destroying some peaceful 70’s demonstration! And trying to hurt my girl Mystique?! Wait …. STOP! I ship these two! Yes, you heard that right! I ship you with Erik! So of course SHIZ goes down in the past, but wait … what is Tyrion Lannister doing here? Uhm, he’s obviously someone sinister and powerful and dark! The man you can’t be killed! This is going to be an epic scene in the film, but I’m already a bit distracted! Sigh! Storm has some cool powers! But my favourite mutant is Rogue, so nothing should happen to her basically! This scene is just TWO bloody fantastic! Prof X tells Prof X to get his groove back on! EPIC stuff! This trailer is death by EPICNESS and we cannot wait for the film (May 2014) and a whole lot more of EPIC trailers, promos, posters and material to be released! Did you suffer from fangirling after seeing this trailer? This entry was posted in Comic Book Adaptations, Days of Future Past, Trailer Reactions, X-Men and tagged Bryan Singer, Hugh Jackman, Ian McKellen, James McAvoy, Michael Fassbender, trailer, X-Men, X-Men Days of Future Past. 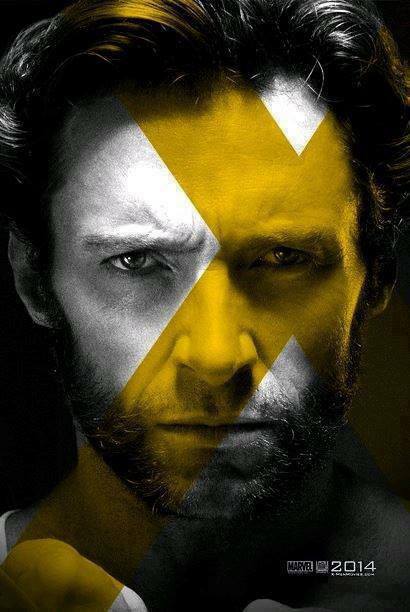 ”X-Men: Days of Future Past” Posters Are Here! Yesterday was a big day for poster releases for upcoming movies. Not only did the first ever motion poster for Vampire Academy movie get released, but we were also treated to the first posters for the upcoming X-Men: Days of Future Past. On Monday, official posters were revealed showing both Professor X (Charles Xavier) and Magneto (Erik Lensherr) in their days, both future and past, merged together in two separate and brilliant posters. Sir Patrick Stewart and Sir Ian McKellan reprise their roles, from the original trilogy, as the older versions of Professor X and Magneto, respectively, while James McAvoy and Michael Fassbender return from X-Men: First Class as the young Charles Xavier and Erik Lensherr. Joining the main cast are newcomers Peter Dinklage (Bolivar Trask), Adan Canto (Sunspot), Evan Peters (Quicksilver), Fan Bingbing (Blink), Omar Sy (Bishop) and Josh Helman (William Stryker). The film also marks the return of Jennifer Lawrence (Mystique), Nicholas Hoult (Beast) and Lucas Till (Havok). Mutants returning from the original trilogy include Halle Berry (Storm), Anna Paquin (Rogue), Shawn Ashmore (Iceman), Ellen Page (Shadowcat), Daniel Cudmore (Colossus) and the only mutant to have appeared in all seven X-Men films, Hugh Jackman’s Wolverine, for whom we found this poster online, which is probably fan-made and alludes to the fact that Wolverine never grows old! The next Wolverine movie The Wolverine is out this Friday, July 25, 2013! Filming is still underway until at least September 2013, as mentioned by director Bryan Singer (who returns as director) on Twitter. “@Joe_Connelly09: @BryanSinger is there still alot of filming ?” About two more months. The film releases on May 23, 2014 and is based on the 1981 Uncanny X-Men storyline of the same name. Are you excited about the next X-Men film? And are you going to watch The Wolverine in cinemas this weekend? Let us know in the comments below! This entry was posted in Days of Future Past, Poster Reveal, X-Men and tagged Bryan Singer, Days of Future Past, Hugh Jackman, Magneto, Posters, Professor X, Wolverine, X-Men.